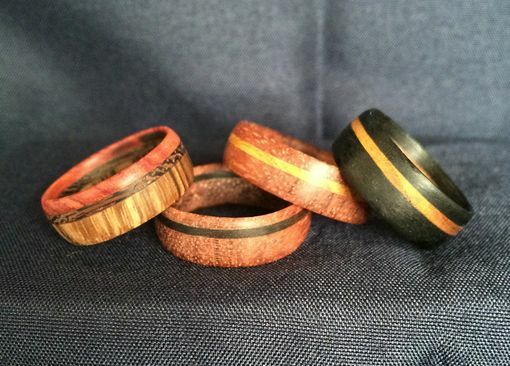 These are wooden rings I have created from a combination of curly bubinga and yellowheart, curly bubinga and ebony, ebony and yellowheart, and zebrawood, wenge, and tulipwood. Each ring is made by hand, and I finish them using a multi-step process to seal, and protect the wood. 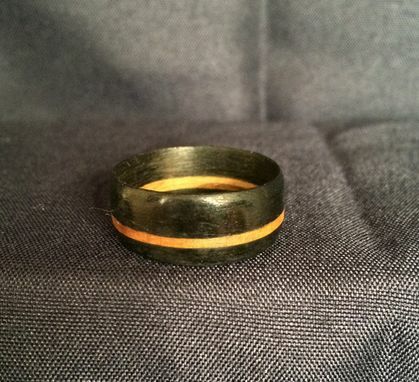 They are wooden rings so they should not be soaked, but I have not had any problems with washing my hands while wearing it. 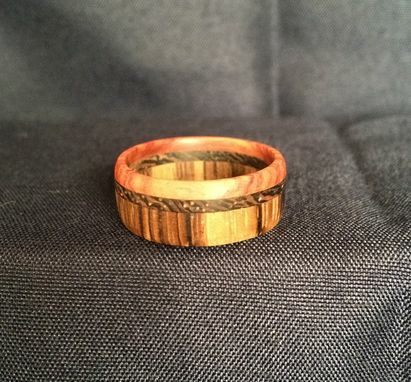 I have a wide variety of exotic wood so we can customize your ring to suit your needs. 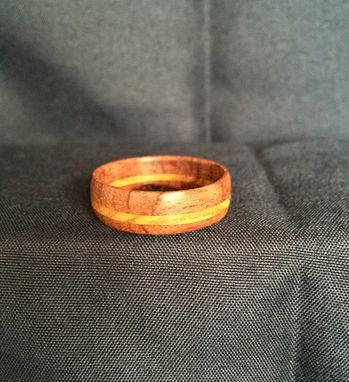 I make each ring to order, and specific to your request. 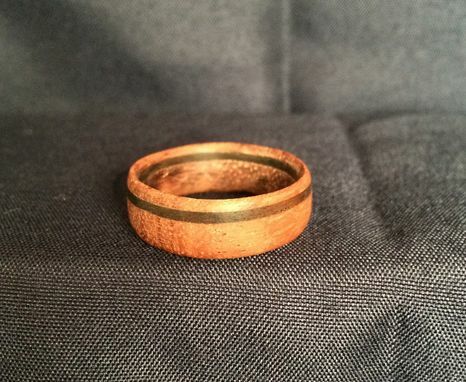 I would suggest getting your finger measured to ensure that I can make you a ring that will fit you the best.